If you often put in extra hours at work you may want to think again. That's because people who work 55 hours per week are more likely to develop a dangerous heart condition, so say scientists. Researchers at University College London compared people who worked 35 to 40 hours per week with those doing 55-hour weeks. They found those putting in the longer hours were 40% more likely over the period of a decade to suffer an irregular heartbeat. The official name for this is atrial fibrillation (AF). 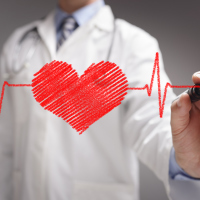 Anyone who has suffered heart problems in the past can arrange specialist medical travel insurance. A spokesperson for the British Heart Foundation called the findings "very interesting". Lead researcher Professor Mika Kivimaki, from University College London, said: "These findings show that long working hours are associated with an increased risk of atrial fibrillation, the most common cardiac arrhythmia. "This could be one of the mechanisms that explain the previously observed increased risk of stroke among those working long hours." The findings were reported in the European Heart Journal.